Philadelphia: James Sharan, 1812. 1st Edition. Hardcover. Fair. Original calf, red leather label, covers scuffed, edges worn all over, lacking front and rear endpapers, and top quarter of title page. Prelims with facing portraits of Lewis and Clarke extant but stained. Leaves browned. xii + 14 - 300pp. Binding firm. Spine label reads: TRAVELS/ UP THE/ MISSOURI. A very unsophisticated copy. MÜNCHEN. - Plan. "Umgebungen von München herausgegeben auf Allerhöchsten Befehl St. Majestät des Königs von der Königlichen Direction des stistisch topographischen Bureau im Jahre 1812". - Kol. Kupferstich von Carl Schleich & Joh. Baptist Seitz nach J. von Rickauer, 1812, 68 x 87 cm. Maillinger I, 1665; Lentner 1085; Slg. Proebst 13. - Großformatiger Plan mit den Vorstädten. Rechts unten Titelkartusche, links zwei Felder mit "Erklärungen", "Bezeichnung der Gegenstände" und "Maßstab". Das Hoftheater ist bereits mit dem Projekt des Seitenflügels eingezeichnet, wie es Fischer entworfen hat. - Mit breitem Rand und in tadelloser Erhaltung. Feines, differenziertes Kolorit. St. Petersburg: Typ. Of F. Drekhsler, 1812. In 2 vols. , ix, 246, iii, ; , 335, iii,  pp. 20,5x13,5 cm. With a stipple engraved frontispiece portrait of Yuri Lisiansky. Preface to vol. 1 (p. vi) signed by Lisiansky in brown ink. 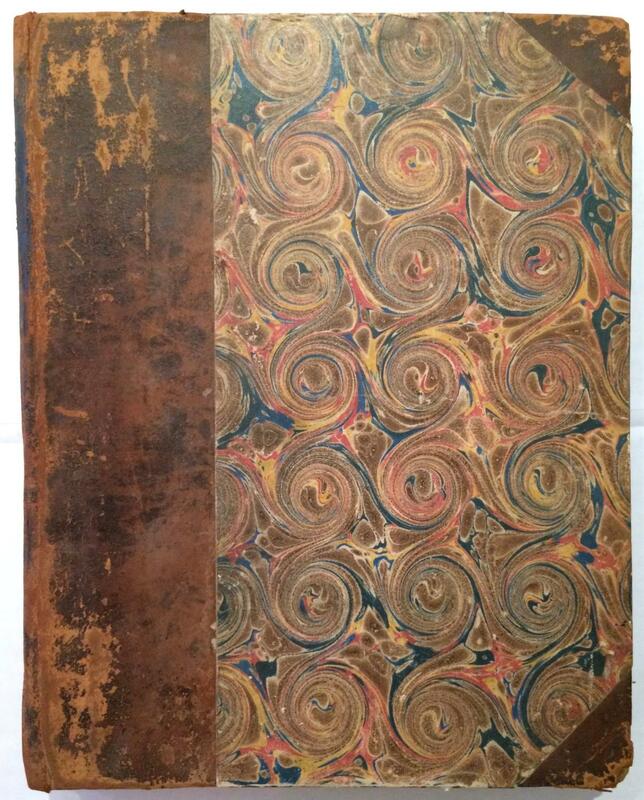 Contemporary straight-grained half leather with marbled boards, spines with gilt tooled borders. With a few very minor papers flaws of blank lower corners, most expertly repaired, but overall a very good original copy of this extremely rare set. First edition. Signed by the author. 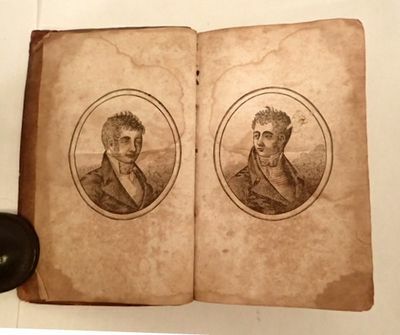 Extremely rare first edition of Yuri Lisiansky's account of the first Russian circumnavigation executed in 1803-1806 under command of Adam von Krusenstern. 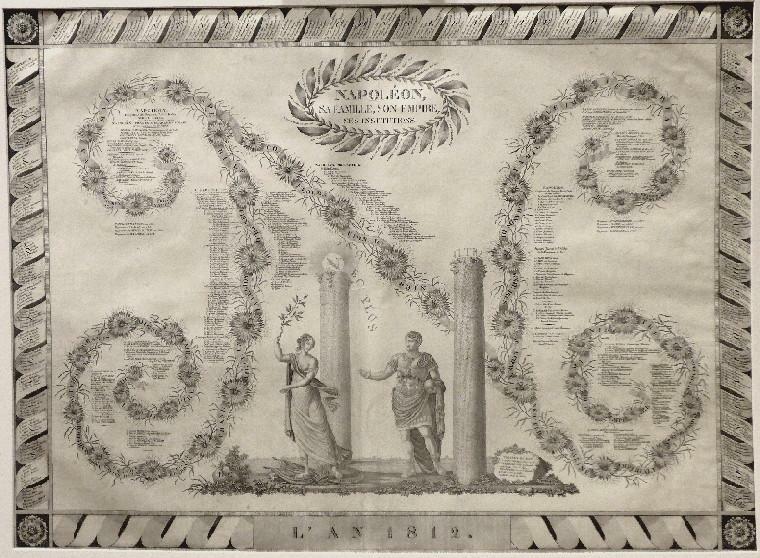 The companion but separately published folio atlas volume was printed at the Naval Printing Office in St. Petersburg. The majority of copies of the few we were able to trace consist of either the text volumes or the atlas, which would also suggest their separate distribution. Furthermore, according to Lisiansky's biography and the Russian National Library, it seems that the text was privately published and funded by Lisiansky and his wife and the atlas was published on account of the Office of the Russian Emperor. The stipple engraved portrait frontispiece of Lisiansky in volume one, executed by the prominent Russian engraver Andrey Ukhtomsky (1770-1852) after a drawing by Gerrit Yacobus Geuzendam (1771-1842) present in this copy is often absent as it isn't present the Russian National Library copy and both Forbes and Lada-Mocarski don't mention the portrait frontispiece in the first text volume but instead incorrectly call for it in the folio atlas which Forbes also notes is lacking the portrait in the copy he examined. In the preface Lisiansky notes that due to frequent storms and unexpected circumstances his ship Neva had to be parted with Krusenstern's ship Nadezhda many times, and not only did he have to perform a separate voyage, but also had Â«to observe and describe places which Krusenstern had no chance to visitÂ», and this edition was published for Â«the respected readersÂ» to have Â«the full account of the voyageÂ». The first volume starts with the Â«list of the Officials and Naval Servants of the ship NevaÂ» and describes the voyage from St. Petersburg to the Atlantic Ocean, Brazil (Santa Catarina Island), around Cape Horn to the Easter Island and further to the Marquesas and Hawaii. Six chapters out of ten are dedicated to Neva's voyage in the Pacific. Easter Island was visited on 17-21 April 1804; Lisiansky describes its relief, shores and bays (giving advice on navigation around the island), famous statues, natives and their dwellings, handcrafts, and costumes, notes about communication with the natives, etc. The Marquesas were visited on 7-17 May; Neva reunited with Nadezhda in the Taiohae Bay (Nuku Hiva), where the local king and queen visited the ship, Lisiansky visited the king's hut, home of an Englishman Roberts who lived there, local cemetery; the king was treated with pancakes, honey and port wine; 15 May - Krusenstern and Lisiansky with several officers visited nearby Hakaui Bay where they found a wonderful anchorage and a small river which Lisiansky called Nevka (after an arm of the Neva River in Saint Petersburg). Separate chapter outlines geographical location of the main Marquesas Islands (southern Fatu Hiva, Moho Tani, Tahuata, Hiva Oa, and northern Ua Pou, Ua Huka, Nuku Hiva, Eiao), and gives a detailed description of Nuku Hiva: coast, relief, anchorages, advice on navigation, local kings, wars, burials, wedding ceremonies, human sacrifice, explanation of taboo, appearance and beauty of locals, tattoos, costumes, signs of cannibalism, war tactics, weapons; special division describes about twenty local trees and plants. There is also a dictionary of the Nuku-Hivan language (pp. 152-159), including expressions like: Â«Don't touch, the cannon will kill youÂ», Â«He is a thiefÂ», Â«Have you stolen anything?Â», Â«Do you want to sleep on the ship?Â», Â«Do you eat your enemies?Â» and others. The Hawaiian Islands were visited on 8-20 June, 1804. Two days after the Hawaii Island had been sighted, Nadezhda left for Kamchatka (on the 10th of June), and Krusenstern didn't land on the islands. 11-16 June Neva visited Kealakekua Bay where Captain Cook had been killed in 1779, bought provisions from the islanders, went to the village where the chief showed them holes on the trees from British cannon balls fired after the death of Captain Cook, looked at the royal palace, main temple and talked to the local priest, later visited the place of death of Captain Cook and saw Â«the stone where this immortal man fell, and soon after we saw the mountain where according to the locals his body was burnedÂ». After returning to the ship Lisiansky found there two Americans who told him about the Sitka massacre which had happened the previous year. 19 June - visited Waimea Bay (Kauai) and talked to the local king who was in the state of war with Kamehameha I. Separate chapter describes the Hawaiian Islands, especially the Big (Hawaii) Island: local kings and laws, barbaric customs, the meaning of the taboo, armed and naval forces of king Kamehameha, Hawaiian calendar and holidays, temples, human sacrifice, funerals, appearance of the Hawaiians, their costumes, list of prices paid for the provisions, and others. Separate chapter is dedicated to the reign of Kamehameha, talking about history of his ascension to the throne, and wars with other chiefs; Lisiansky also talks about the volcanic activity of the islands, local agriculture, and domestic animals; concise dictionary of the language of the inhabitants of the Sandwich Islands, includes phrases: Â«Do you have pigs?Â», Â«Eat shitÂ» (noted as Â«Common curse of Sandwich IslandersÂ»), and others. 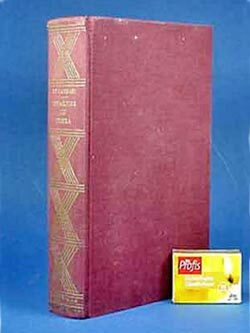 Five chapters of the second volume are dedicated to Neva's voyage in Russian America, including Â«Brief dictionary of the languages of the north-west coast of America with Russian translationÂ» (the largest of all dictionaries prepared for the book, with about 500 words and expressions, and their translations into languages of Sitka and Unalaska). Lisiansky gives a detailed description of the Battle of Sitka (October 1804), voyages around the Kodiak Island and wintering there. Last three chapters describe the return travel to St. Petersburg via Canton, Sunda Strait and Cape of Good Hope, and the discovery of the Lisianski Island (Northwestern Hawaiian Islands, ca. 1,600 km northwest of Honolulu). Â«The island is named after Yuri Feodorovich Lisyansky, an officer in the Imperial Russian Navy. Lisianski was the commanding officer of the Russian-American Company's merchant sloop Neva, which was on an exploration mission as part of the first Russian circumnavigation of the world when she ran aground on the island in 1805Â» (Wikipedia). The second Russian edition with annotations was published only in 1947. The first English edition translated by the author was published in 1814. Â«A companion account to the Kruzenshtern narrative of the first Russian circumnavigation. The Neva and Nadezhda left Kronstadt and remained together until their stop at Hawaii in 1804, at which point Lisianskii proceeded directly to Kodiak, where he confirmed reports of the destruction of the settlement at Sitka by Kolosh Indians. Lisianskii sailed into Baranov, repulsed the Indians, and took possession of a new hill, which he named New Archangel. He spent more than a year at both Sitka and Kodiak, and the text proves him to have been a keen observer. His account of the Marquesas differs from that of Kruzenshtern . The Neva arrived at Hawaii June 8 and departed June 20, 1804, and .., includes visits to Kealakekua Bay and to Waimea, Kauai Â» (Forbes 443). Â«Lisianskii, commanding the Neva, participated in the first Russian circumnavigation of the globe under Kruzenstern. While Kruzenstern (on his ship Nadezhda) spent most of the time in Kamchatka, Lisianskii with his ship crossed to Sitka and played an important role in Baranov's reoccupying the original Russian fort and settlement there, which had been overrun by Koloshes who massacred all the Russians. This is a very important and rare work on the history of Alaska in general and Sitka in particularÂ» (Lada-Mocarski 68). Â«Lisianskii, deputy commander of Kruzenshtern's expedition around the world, received word of the massacre at Sitka upon reaching Kodiak in 1804. The Kolosh Indians had attacked the settlement of the Russian-American Company and slaughtered almost the entire garrison. Lisianskii laid siege to the Kolosh stronghold and ultimately drove the Indians into the back country. Lisianskii, commanding the Neva, followed a different route from Kruzenshtern, in the Nadezhda, the two ships separating at the Hawaiian Islands. He called at Easter Island and the Marquesas, and discovered Lisianski Island in the Hawaiian Chain. Appended are vocabularies of the language of Nuku Hiva, the Hawaiian Islands, the Islands of Kodiak and Unalaska, the Bay of Kenai, and Sitka SoundÂ» (Hill 1026 (English Edition)). Â«Highly important work on Sitka, Kodiak and other parts of the northwest coastÂ» (Howes L372). Â«Ranks in value with Cook and Vancouver as a contribution to geographical knowledge on the N. W. Coast, Sandwich Islands, etc.Â» (Wright Howes 56-259). Â«Most important work dealing with discoveries on the N.W. Coast of America. The author was a captain in the Russian navy and commander of the 'Neva'. He visited Kodiak and Sitka, wintering at the former island, and his long stay there gave him ample time and scope for a study of the native inhabitants and their habits and customs. The long chart shows the track of the voyage, and there are charts of the Washington Islands, Cadiack, and the Harbor of St. Paul, the coast from Bering's Bay to Sea Otter Bay, Sitka or Norfolk Sound, etc. ; with colored views of the Harbor of St. Paul in the Island of Cadiack and New Archangel in Norfolk Sound. There are also plates of Indian implements, etc. The work is important also as the principal source for the Sitka MassacreÂ» (Soliday 873). 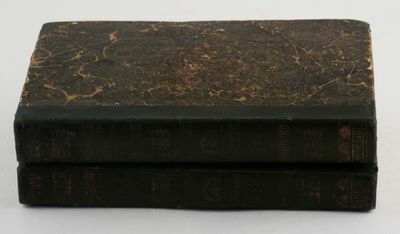 Forbes 428 and 443 (English Edition). Sabin 41416. Smith 2255. Wickersham 6260 (incorrectly described). Howgego 1800 to 1850, K23, L36. Arctic Bibliography, vol. 2, no. 10208 (doesn't describe or mention the atlas which belongs to this work). Obolyaninov 1493. Svodny Katalog 1801-1825, # 4550. Mezhdunarodnaya Kniga, Catalogue #32 Â«Geography and TravelsÂ», # 351. JOHANN ADAM KLEIN (1792 - 1875). "Sechs Wiener Militair und Pferdestücke". Sechs Darstellungen auf sechs Blättern. - Radierungen von J.A. Klein, 1812, je ca. 11 x 14 cm. Jahn 68 - 73, jeweils letzter Zustand. - Vorhanden: Der Reitknecht an der Mauer (Titelblatt); Uhlan und Reitknecht mit dem Handpferd; Die zwei Reitknechte hinter der Wiener-Hofburg; Der Hufschmied; Die beiden Cuirassiere im Galop; Die beiden Slawaken im Hof. - Teilweise mit nur schmalem Rändchen um die Plattenkante. Drey Nützliche Dinge, bestehend I. in dem inn- und ausländischen Wechsel-Negotio, II. und III. in Reduction des ausländischen Gewicht- und Ellen-Maasses, gegen ragionirenden Breßlauer Valour, nebst solvirten Anweisungen von Wechseln, Waaren-Calculationen, Interesse- und Rabatt-Rechnung, .... Breslau Schlesien. Napoléon, sa Famille, son Empire ses Institutions. Mit Auflistungen der Familie, des Stadtrates, des Konservativen Senats; der Generäle, der Kaiserreiche, etc. The Institutes of Justinian, With Notes. 1812. First Edition of Cooper's Translation of the Institutes Justinian I [485-565CE], Emperor of the East. 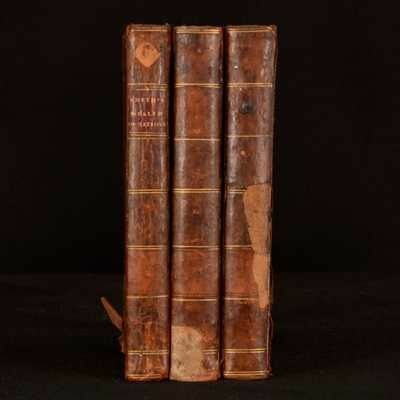 Cooper, Thomas [1759-1839], Translator and Editor. The Institutes of Justinian. With Notes. 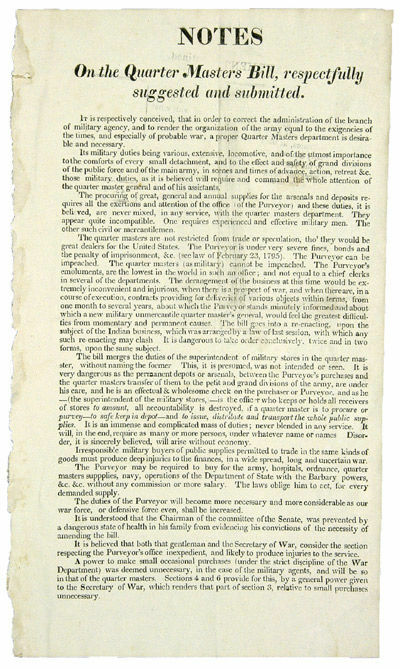 Philadelphia: Printed for P. Byrne, 1812. xiv, 714 (i.e. 716) pp. Latin and English translation in parallel columns. Octavo (9" x 5-1/2"). Recent period-style quarter calf over marbled boards, lettering piece and gilt fillets to spine, original endpapers retained. Moderate toning to text, somewhat heavier in places, occasional light foxing. An attractive copy. $600. 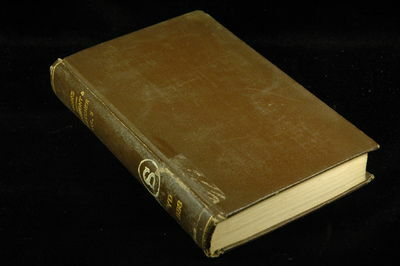 * First edition. Includes a bibliography of civil law and the complete text of The Law of the Twelve Tables. A landmark in the American reception of Roman law and the first translation of Justinian produced in the United States, this edition includes fascinating notes that compare Roman law with that of the United States. (He even includes a table of cases.) Cooper, a chemist and lawyer by training, was a polymath who published books on law, political science, economics, medicine and the natural sciences. A friend of Joseph Priestley and Thomas Jefferson, he was a professor of chemistry at Dickinson College and the University of Pennsylvania. He joined the faculty of South Carolina College in 1819 and became its president in 1820. Cohen, Bibliography of Early American Law 1644. Blicke in das Wesen des Menschen. Atlas historique, Genealogie, Chronologique et Geographique. Groß-Folio. 33 gest. u. flächenkolorierte Karte + 2 Tab. Ill. OHLdr. Historischer genealogischer und chronologischer Atlas. Bemerkenswert die Flächenkolorierten Karten u. a. die Weltkarte, dann Nord- und Südamerika im Jahre 1812 und auch die Europa- bzw. Afrikakarte. - Das einseitige bedruckte Blattformat 54 x 70 cm auf schwerem Bütten. - Selten mit dem lithographierten Einband aus der Frühzeit der Lithographie von Jules Delessert. - Lederrücken und Einband fachmännisch erneuert und restauriert, innen tadellos, Kolorit kräftig. Paris, Ch.les Picquet, 1812. En 24 sections jointes et montées sur toile, de 0,82 x 1,36 m. Superbe plan mural de Paris publié en 1812, dédié au comte Frochot, préfet du département de la Seine sous Napoléon, qui réalisa les premiers travaux d'embellissement et d'aménagement de voirie décidés par Napoléon. Parmi ces travaux figurent le canal de l'Ourcq, terminé en 1802, le canal de Saint-Denis, commencé en 1811, le bassin de la Villette, destiné à alimenter la capitale, achevé entre 1806 et 1809, les Abattoirs, les cimetières du Nord, de l'Est, de Vaugirard, de Sainte-Catherine (décret du 12 juin 1804), la nouvelle Morgue place du Marché-Neuf (ordonnance de police de 1804), le pont des Arts, construit entre 1802 et 1804, le pont d'Austerlitz, entre 1799 et 1807, les greniers de réserve, le quai d'Orsay, le Marché aux Fleurs, ou encore la partie occidentale de la rue de Rivoli. Un système de couleurs permet de distinguer les monuments dont l'exécution est commencée : le Palais du Roi de Rome, dont la construction sera finalement abandonnée, l'Arc de Triomphe, la Halle aux vins, la Bourse et le Tribunal de Commerce, le Temple de la Gloire, future église de la Madeleine, les abattoirs de Ménilmontant et de Montmartre, ou encore l'Hôtel des Postes. Un encadré en bas à gauche intitulé "Division de la ville et canton de Paris" contient la liste des mairies, quartiers, tribunaux, prisons et autres bâtiments de la ville. Sous l'Empire, Charles Picquet fut le principal éditeur de plans de Paris. Entre 1804 et 1847, il publia des plans de divers formats avec quasiment chaque année un tirage nouveau, corrigé avec le plus grand soin. 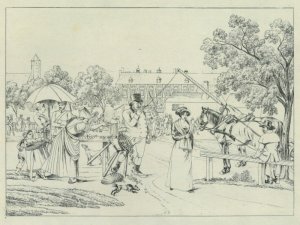 Géographe, graveur, éditeur et marchand de cartes, actif jusqu'en 1856, il devint, dès 1798, le fournisseur attitré du Dépôt de la Guerre. Vers 1806, il fut nommé au Cabinet topographique de Napoléon, et en 1816 il obtint le brevet de géographe ordinaire du cabinet topographique de Louis XVIII. Bel exemplaire, contours coloriés à l'époque. India House, 1812. Single sheet. 4to. Single sheet. 4to. A rare letter by Horsburgh aiding an acquaintance. 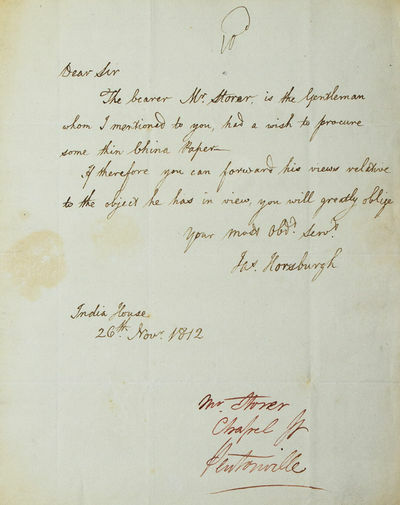 It reads in part: "...The bearer Mr. Storer, is the Gentleman whom I mentioned to you, has a wish to procure some thin China paper...". Horsburgh was a Scottish hydrographer. He worked for the British East India Company, mapping many seaways around Singapore. The quality of his charts and his correspondence with Alexander Dalrymple in the form of a 'Book of remarks' was "later published [by Dalrymple] for the East India Company as Observations on the Eastern Seas (1799). On his 1799 and 1801 visits Horsburgh was introduced to the circle which included Sir Joseph Banks, Nevil Maskelyne, and Henry Cavendish. For Cavendish he maintained, from April 1802 to February 1804, a continuous register of the barometer, taken every four hours, by day or night, at sea or in harbour, which established the diurnal variation of the barometer in open sea between 26Â° N and 26Â° S. Horsburgh's departure on retirement was delayed by his unsuccessful attempts to obtain official consent to initiate a boat survey of shoals in the China Sea, for the refinement of the charts he was constructing in Canton. On his return to London he was elected a fellow of the Royal Society in March 1806" (ODNB). Im Selbstverlag des Herausgebers, für den Buchhandel: H. L. Schlapp Band 1: Peppler, Friedrich: Schilderung meiner Gefangenschaft in Rußland vom Jahre 1812 bis 1814. Bearb. v. Karl Esselborn. 1908. XVI, 138 S. Ln. Band 2: Hessische Sagen. 1. 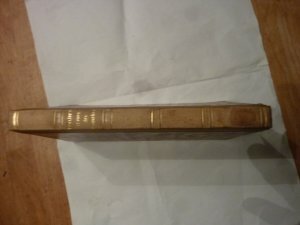 Reihe: Auswahl aus J. W. Wolfs Sammlung. Eingel. v. Karl Bader. 1908. 78 S. Br. mit zusätzl. festen Pp.Einband, Stempel auf 1. Umschlags. Band 3: Diehl, Wilhelm: Bilder aus der hessischen Vergangenheit. 1. Reihe: Der vordere Odenwald in der Zeit vor und in dem dreißigjährigen Kriege. 1909. 127 S. Br., Buchblock einandfrei. Band 4: Stelz, Johannes: Selbstbiographie nach der Aufzeichnung von Karl Götz. Eingel. u. erl. v. Karl Esselborn. 1909. XVI, 176 S. Ln. Band 5: Philipp, Landgraf von Hessen-Butzbach. Eine Festgabe zur Dreihundertjahrfeier der Begründung der Landgrafschaft Hessen-Butzbach, dargereicht von Wilhelm Diehl. 1909. 1 Abb., IV, 87 S. Ln., Einb.Rücks. leicht beschabt. Band 6: Diehl, Wilhelm: Bilder aus der hessischen Vergangenheit: 2. Reihe: Aus der Zeit des Landgrafen Ernst Ludwig.1910. IV, 94 S. Br. Band 7: Luft, Johann: Leben und Schicksale in meiner Schulmeister-Laufbahn. Eingel. u. erl. v. Karl Esselborn. 1910. 1 Abb., 120 S. Ln., kleiner, schwacher Besitzstempel auf Vors., sonst einwandfrei. Band 8: Lucius, Georg Friedrich: Drangsale des Dorfes Jugenheim bei Mainz im ersten Revolutionskriege. Bearb. v. Eduard Anthes. 1910. 93 S. Br., unaufgeschn., Buchblock einwandfrei. Band 9: Boclo, Ludwig: Beschreibung einer Schülerwanderung im Jahre 1813. Eingel. u. erl. v. Wilhelm Diehl. 1911. VII, 111 S. Ln., Stempel auf Vors. Band 10 u.11: Baur, Wilhelm: Lebenserinnerungen. Einl. u. Erläut. v. Karl Esselborn. 1911. 1 Abb., 335 S. Ln. Band 12: Hessische Sagen. 2. Reihe. Zusammengest. v. Karl Bader. Br., unaufgeschn., Buchblock einwandfrei. Band 15: Diehl, Wilhelm: Landgraf Georg II. Ein Lebensbild aus der Zeit des Dreißigjährigen Krieges. IV, 116 S. Br., unaufgeschn., Buchbl. einwandfrei. Band 17 u.18: Der Nordpolarforscher Carl Weyprecht. Bearb. v. E. Ihne. 1913. 1 Abb., 184 S. Br. Band 19: Wandervögel von ehedem. Reisen und Wanderungen junger Hessen aus den Jahren 1787, 1788, 1839, 1840 und 1853. Bearb. u. hrsg. v. Karl Esselborn. 1913. 163 S. Ln. Band 20: Diehl, Wilhelm: Aus der guten alten Zeit. Kulturgeschichtliche Bilder aus Hessens Vergangenheit. 1914. 72 S. Ln., Name u. kleines Etikett auf Vors. Band 23: Diehl, Wilhelm: Aus vier Jahrhunderten. Volkswirtschaftliche Bilder aus Hessens Vergangenheit. 1915. 102 S. Br., unaufgeschn., Buchbl. einwandfrei. Band 24: Pfannmüller, Gustav: Ludwig Wilhelm Luck, Pfarrer und Chronist von Wolfskehlen, ein Freund Friedrich Hebbels. 1915. 1 Abb., 96 S. Ln. Band 25: Emanuel Crespels Reisen in Kanada und Schiffbruch bei der Rückkehr nach Frankreich. Ins Deutsche übers. mit Einleitg. u. Anmerkgn. v. Karl Esselborn. 1915. 116 S. Br. Band 26-27: Aus tiefer Not. Hessische Briefe und Berichte aus der Zeit des Dreißigjährigen Krieges. Gesammelt u. erläut. v. Fritz Herrmann. 1. Hälfte. Darmstadt 1916. 176 S. Br., unaufgeschn., Buchbl. einwandfrei. Band 31-36: Diehl, Wilhelm: Reformationsbuch der evangelischen Pfarreien des Großherzogtums Hessen. 2. Aufl. 1917. 628 S. Br., unaufgeschn. Band 37 u. 38: Diehl, Wilhelm: Allerlei aus alten Tagen. Gesammelte Aufsätze. 1918. 137 S. Br. Band 39: Esselborn, Karl: Ludwig Frohnhäuser. Von ihm und über ihn. Eine Gedenkschrift. 2. Aufl. 1918. 1 Abb., 120 S., 1 gefalt. Bildtafel und Textillustrationen. Pp. Band 44 u. 45: Ritsert, Friedrich: Aus meiner Jugendzeit. Darmstädter Knabenerinnerungen eines Fünfzigjährigen an die Zeit der Befreiungskriege. Bearb., hrsg. u. erläut. v. Karl Esselborn. 1920. 154 S. Pp., Rücken gebroch., Papier gebräunt. Band 46-47: Müller, Wilhelm: Rheinhessisches Heimatbuch. 1. Teil. 1921. 176 S. Br., unaufgeschn. Band 48: Schrohe, Heinrich: Bilder aus der Mainzer Geschichte. 1922. 99 S. Kt. Band 49/50: Henß, Adam: Aus dem Tagebuch eines reisenden Handwerkers. Bearb., eingel. u. erläut. v. Karl Esselborn. 1923. 196 S., 11 Abb. auf Taf. Kt. Umschlag u. erste Seiten mit Druckstellen. Kt. Band 51: Bader, Karl: Geweihte Stätten in Hessen. Eine Wallfahrt zu Denkmälern und Erinnerungsstätten. 1923. 104 S. Kt. Band 55-57: Hamm, Wilhelm: Jugenderinnerungen. Bearb., eingel. u. erläut. v. Karl Eselborn. 1926. 209 S., 1 Porträt, 16 S. Abb. Ln. Vors. leicht gebroch., Einbd. leicht fleckig. Die wunderschöne und eindrucksvolle Schilderung der Jugendzeit dieses späteren Liebig-Schülers über das Leben in Stadt und Familie im Darmstädter Biedermeier. Band 61-65: Lindenmeyer, Ludwig: Jahrbuch meines Lebens. Nach der Handschrift hrsg. v. Karl Esselborn. 1927. XVI, 415 S. Ln. Band 66-69: Waas, Christian: Siegfried Schmid aus Friedberg in der Wetterau, der Freund Hölderlins (1774 - 1859). 1928. VI, 309 S. mit 3 Abb. Ln. Band 70-72: Müller, Wilhelm: Chronik der Darmstädter kirchlichen Ereignisse. Ein Rückblick auf 900 Jahre Darmstädter Kirchengeschichte. 1929. VIII, 199 S. Br., unaufgeschn. 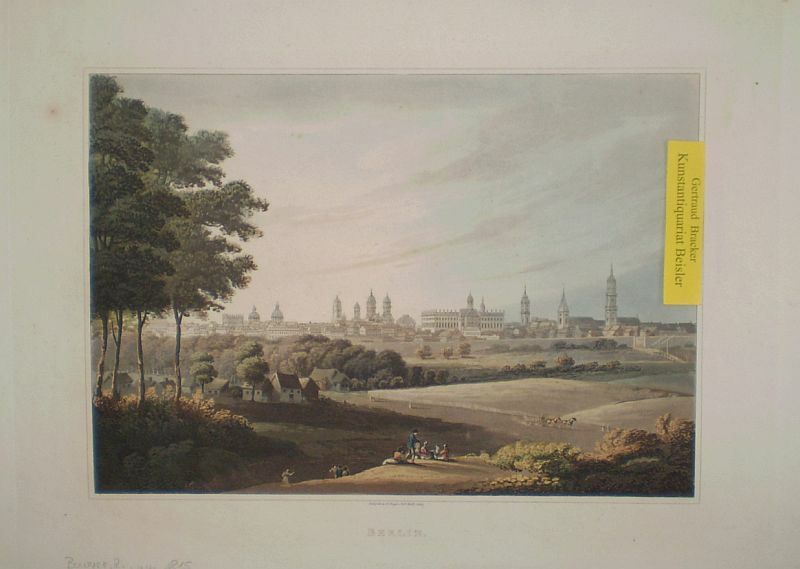 Band 76-78: Schulte, Otto: M. Philipp Vigelius, Pfarrer zu Wetter und Großen-Linden. Sein Leben, seine Arbeit und seine Gemeinde. Schilderungen des Lebens in einer kleinen oberhessischen Stadt im 17. Jahrhundert. Mit einem Stammbaum der Familie Vigelius von Herrn C. C. P. Vigelius (Haag) und Freiherrn von Waldthausen (Bassenheim). 1930. 165 S. mit 6 Abb. u. 12 Stammtafeln. Ln. Band 79-82: Back, Friedrich: Ein Jahrtausend künstlerischer Kultur am Mittelrhein. 1932. 247 S., ca. 40 Bildtafeln. Ln. Band 86-88: Weitzel, Johannes: Das Merkwürdigste aus meinem Leben und aus meiner Zeit. Bearb. v. Karl Esselborn. 1934. 106 S. Ln. Dieses Angebot umfasst 34 von 45 insges. erschienenen Bänden (= Band Nr. 1-100 in 45 Bänden). Die Bände sind einem ordentlichen, dem Alter entsprech. guten Zustand, soweit nicht anderes angegeben. - Kolorierte Lithographie v. R. Bowyer aus "An Illustrated Record of Important Events in The Annals of Europe . 1812 - 1815", 1815, 30,5 x 40 cm. Leicht gebräunt JPEG-Bilder auf Anfrage möglich. Coloured lithographic by R. Bowyer from "An Illustrated Record of Important Events in The Annals of Europe . 1812 - 1815", ca. 1820. 30.5 x 40 cm (12.0 x 15.7 in.). JPEG pictures upon request. [Washington, 1812. Broadside, 12 1/2 x 7 inches. Dbd. Soft vertical fold. Light offsetting from a different document near title, else very good. An interesting unofficial handbill relating to the U.S. Army Quartermaster Department on the eve of the War of 1812, with references to the impending war with Britain, Indian business and the Barbary powers. In 1811, Congress introduced "A Bill for the Establishment of a Quarter-Master's Department," which the anonymous author of the present document notes "merges the duties of the superintendent of military stores in the quarter master, without naming the former." The author urges Congress to keep separate the military office of the Quartermaster from the civil positions of the Army Purveyor. An academy for grown horsemen ; containg the completest instructions for walking, trotting, cantering, galloping, stumbling, and tumbling. Illustrated with copper plates, and adorned with a portrait of the author. By (...), Esq. Etc. The fourth edition. London. 1812. 4to. 1800-talls rødt skinnryggbind med marmorerte dekler. xxviii, 36 s. Med 10 håndkolorerte plansjer. Et par sider med rifter, ellers et pent eksemplar. OBERWESEL., "Vue d'Oberwesel et la Ruine de Schomberg". Prächtige Gesamtansicht vom Rhein aus, links die Ruine Schönberg. OBERWESEL. 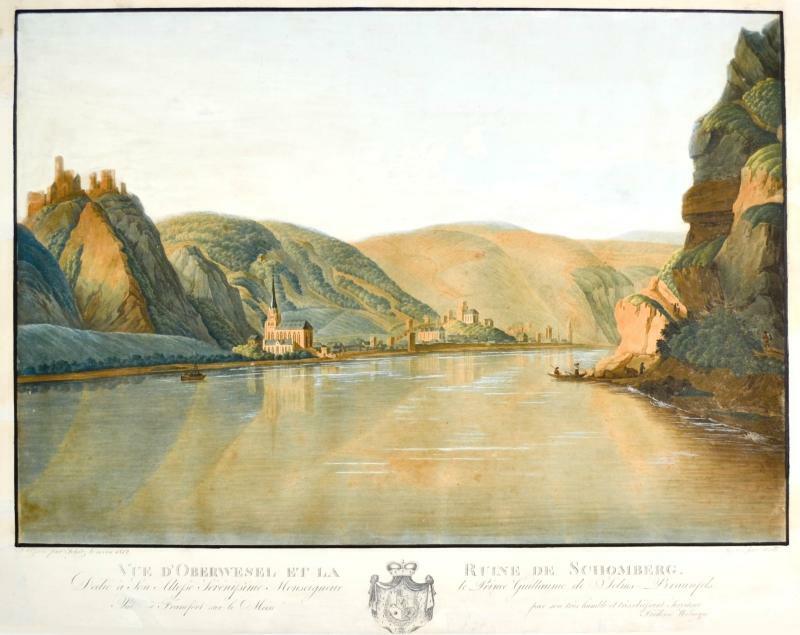 "Vue d'Oberwesel et la Ruine de Schomberg". Prächtige Gesamtansicht vom Rhein aus, links die Ruine Schönberg. - Altkol. Aquatinta von Radl nach Schütz, 1812, 47,5 x 59 cm. Schönes Blatt in kräftigem Altkolorit. - Auf Chinapapier aufgezogen, mit wenigen Restaurierungen in den Rändern. Fränkischer Merkur. Mit allergnädigstem Privilegium. - [12 Bände, 1812-1816]. London - William Baynes, 1812 Book. Hardcover. 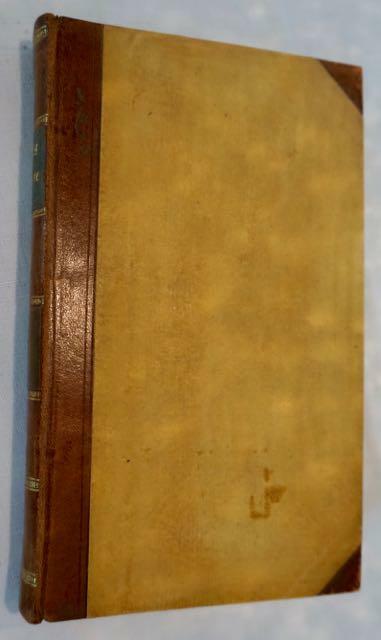 An early edition of Adam Smith's popular The Wealth of Nations. A scarce edition from the publisher William Baynes. The work was originally published in 1776 and offers one of the world's first collected descriptions of what builds nations' wealth. With a life of the author and a view of the doctrine of smith compared with that of the French Economists and with a method of facilitating the study of his works from the French of M Garnier. An Inquiry into the Nature andCauses of the Wealth of Nations is the magnum opus of Scottisheconomist and moral philosopher Adam Smith. It is a fundamental work in classical economics. He reflects upon the economics at the beginning of the Industrial Revolution as well as the division of labour, productivity and free markets. Adam Smith was a key figure in the Scottish Enlightenment. He was a pioneer of political economy and a moral philosopher. The Wealth of Nations is widely considered to be the first modern work of economics. Condition: In full tree calf bindings with gilt stamping to spines. Externally, generally smart with loss to the spines, particularly to volumes II and III. Patches of heavy rubbing to the extremities and to the front of boards. Small cracks to the joints of volumes I, II and III. Loss to the calf to the rear board of volume I. Prior owner's bookplate to the front pastedowns of volume I, JamesCampbell. Internally, all volumes arefirmly bound. Pages are age toned to edges with instances oflight scattered spots to the first and last few pages and the odd spot throughout. Overall:GOOD.. Die Krankheiten des Auges, für praktische Ärzte geschildert. Komplett in 3 Bänden. 8. Mit 1 lithographierten Tafel im 1. Band und einigen Textabbildungen. XVI, 288 S. 354 S. 441 S., Halblederbände mit goldgepr. Rückentitel. Erste Ausgabe / First Edition. - Carl Ferdinand von Arlt (1812 in Obergraupen - 1887 in Wien), österreichischer Chirurg und Augenarzt. Ab 1849 Professor für Augenheilkunde an der Universität Prag von 1856 bis 1883 Professor an der Universität Wien und Leiter der Augenklinik. Sein Lehrbuch "Die Krankheiten des Auges für practische Ärzte" fand weltweite Verbreitung. - 1.Bd: Die Kranlkeiten der Binde- und Hornhaut. - 2. Bd: Die Krankheiten der Sclera, Iris, Choriodea und Linde. - 3. Bd: Die Krankheiten des Glaskörpers, der Netzhaut, der Augenmuskeln, der Augenlider, der Thränenorgane und der Orbita. Bezugspapier der Einbände teilw. beschädigt. Zahlreiche medizinische Bleistiftanmerkungen und Unterstreichungen im Text. Seiten stellenw. stockfleckig. Konvolut von zwölf Quaratalsbänden des Fränkischen Merkur: 3. Oktober bis 31. Dezember 1812 1. Juli 1813 bis 29. September 1813 1. Januar 1814 bis 31. März 1814 1. Juli 1814 bis 30. September 1814 1. Oktober 1814 bis 31. 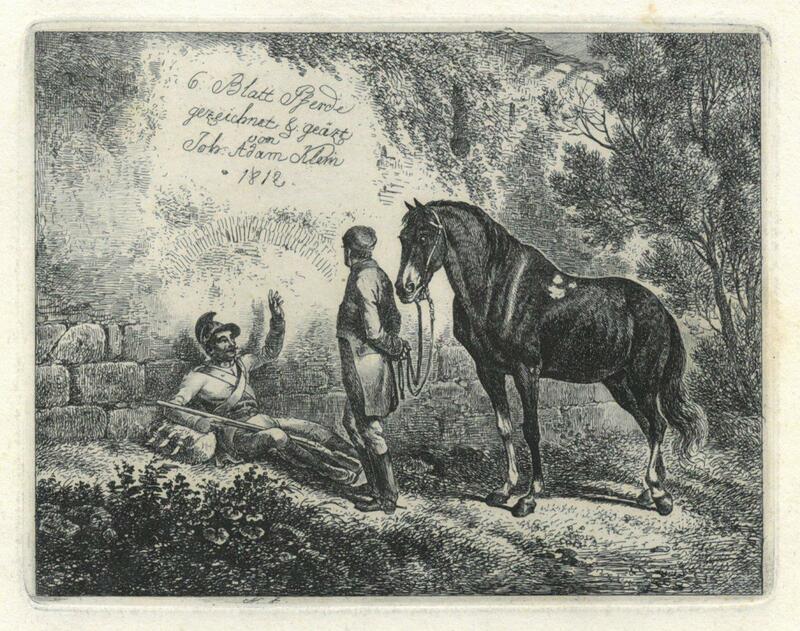 Dezember 1814 1. Januar 1815 bis 31. März 1815 1. April 1815 bis 30. Juni 1815 1. Juli 1815 bis 30. September 1815 1. Oktober 1815 bis 31. Dezember 1815, 1. Januar bis 30. März 1816, 1. April 1816 bis 30. Juni 1816 und 1. Juli bis 30. September 1816. - Die Bände sind in sich nicht völlig vollständig, aber fast vollständig. Insgesamt sind mehr als 1000 Nummern enthalten. - Etwas berieben und bestoßen, insgesamt etwas fleckig, teils etwas eselsohrig, sehr vereinzelt randrissig. Der Band 1.7. bis 30.9. 1814 mit stärkeren Alters- und Gebrauchsspuren. Sonst und insgesamt gute Exemplare. Sämtliche Werke. Mit Königl. Sächsischen und Königl. Westphälischen allergnädigsten Privilegien gegen den Nachdruck und Verkauf der Nachdrücke. Brustbild nach halblinks, barhäuptig mit übergeworfenem Mantel, darunter Generalsuniform. 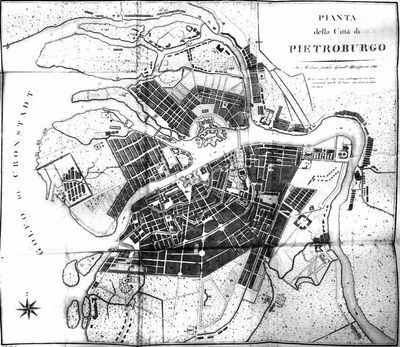 LETTERE SCRITTE DI PIETROBURGO CORRENDO GLI ANNI 1811 E 1812. Milano, dai torchj di Giovanni Pirotta, 1812. In-16 gr. (mm. 198 x 130), mz. pelle coeva, tagli gialli, pp. (2),166, con una bellissima pianta della cittÃ di Pietroburgo, inc. in rame e piÃ¹ volte ripieg. (dettagliatamente descritta) e 5 tavv. f.t., pure inc. in rame, che rappresentano ?la stufa di cui si ragiona nella lettera terza? con relativa spiegazione. Raccolta di 6 importanti lettere scritte dal Conte Fagnani, Consigliere di Stato e Ciambellano del Re d?Italia, nel 1811 e 1812. Solo qualche lieve fiorit. margin., altrimenti ben conservato. Edinburgh Edinburgh James Ballan, 1812-01-01. Hardcover. Acceptable. Ex library copy with some of the usual markings. Library rebind. Moderate wear. 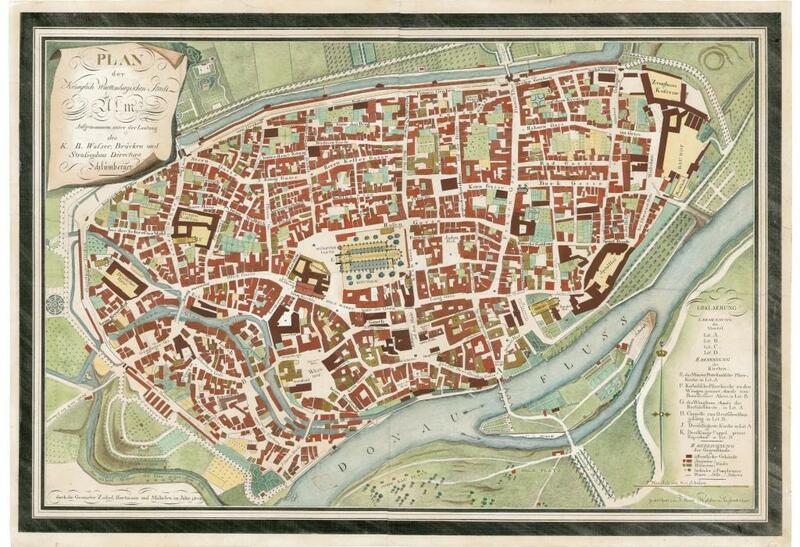 Zobel, Hartmann, Möhrlen 1812 - Ulm Stadtplan: Schlumbergerplan Plan der Königlich Württembergischen Stadt Ulm.Aufgenommen unter der Leitung des K. B. Wasser, Brücken und Strassenbau Directors Schlumberger. (Johannes Hans) Johannes Schlumberger, Ulm, Zobel, Hartmann und Möhrlen 1808, koloriert 71,5 x 49 cm Absolute Rarität, weltweit das einzige Exemplar im freien Handel. Diese Karte ist nur noch zweimal bekannt. Der hoch detaillierter Stadtplan aus dem Jahre 1812 zeigt die Stadt Ulm. In verschiedenen Farben sind die Gebäude, öffentliche Häuser und Gebäude aus Holz und Stein dargestellt.Zudem zeigt sie die Kirchen, Brunnen und vier Stadtbezirke. Nur eine Kopie dieser Karte ist in den Bibliotheken weltweit registriert (Universität Tübingen). ein weiteres Exemplar ist wohl in der Stadtbibliothek Ulm (Stadtmuseum). Kleine reparierte Risse in den Rändern, reparierter Riß in der mittleren Falte (Fehlstelle), sonst eine feine Kopie. Verlagsstempel im unteren Teil des Bildes. 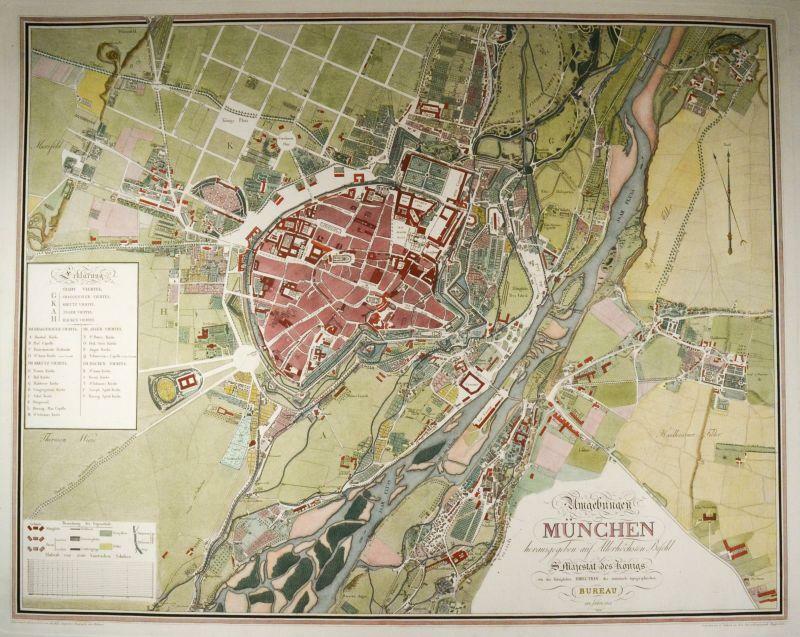 Literature: Albrecht Weyermann, Nachrichten von Gelehrten, Künstlern und andern merkwürdigen , Band 2, p. 482-483 Ulm Stadtplan: Schlumbergerplan Plan der Königlich Württembergischen Stadt Ulm.Aufgenommen unter der Leitung des K. B. Wasser, Brücken und Strassenbau Directors Schlumberger. (Johannes Hans) Johannes Schlumberger, Ulm, Zobel, Hartmann und Möhrlen 1808, koloriert 71,5 x 49 cm Absolute Rarität, weltweit das einzige Exemplar im freien Handel. Diese Karte ist nur noch zweimal bekannt. Der hoch detaillierter Stadtplan aus dem Jahre 1812 zeigt die Stadt Ulm. In verschiedenen Farben sind die Gebäude, öffentliche Häuser und Gebäude aus Holz und Stein dargestellt.Zudem zeigt sie die Kirchen, Brunnen und vier Stadtbezirke. Nur eine Kopie dieser Karte ist in den Bibliotheken weltweit registriert (Universität Tübingen). ein weiteres Exemplar ist wohl in der Stadtbibliothek Ulm (Stadtmuseum). Kleine reparierte Risse in den Rändern, reparierter Riß in der mittleren Falte (Fehlstelle), sonst eine feine Kopie. Verlagsstempel im unteren Teil des Bildes. 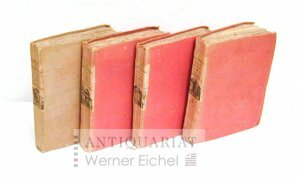 Literature: Albrecht Weyermann, Nachrichten von Gelehrten, Künstlern und andern merkwürdigen , Band 2, p. 482-483 Weisse Streifen, Punkte stammen ggf von der Spiegelung beim fotografieren. Artikel aus der Südwest Presse vom 05.01.2012: Der Schlumberger-Plan 1812: Vor 200 Jahren ist Ulms erster exakt vermessener Stadtplan in den Handel gekommen, der so genannte &#132;Schlumberger Plan&#147;. Jedes damals existierende Haus ist darin zu identifizieren, denn 1796 war die Stadt in die vier Quartiere A, B, C und D eingeteilt und die Häuser durchlaufend nummeriert worden. Jede einzelne Hausnummer ist im Schlumberger-Plan erfasst. Er zählt daher zu den wichtigsten Erkenntnisquellen der Ulmer Stadtentwicklung, zumal er bis ins Mittelalter zurückreichende Strukturen zeigt. &#132;Plan der Königlich Württembergischen Stadt Ulm&#147;, ist er überschrieben, &#132;Aufgenommen unter der Leitung des K. B. Wasser, Brücken und Strassenbau Directors Schlumberger&#147;. K. B.? Das bedeutet &#132;Königlich Bayerisch&#147;. Ein bayerischer Beamter vermisst die württembergische Stadt Ulm? Des Rätsels Lösung findet sich am Kartenrand unten links, wo präzisiert ist, wann und durch wen die von Schlumberger geleitete Aufnahme erfolgt ist: &#132;durch die Geometer Zobel, Hartmann und Möhrlen im Jahr 1808.&#147; Damals war Ulm noch bayerisch. Das änderte sich 1811. Der neue Landesherr, König Friedrich I. von Württemberg, scheint sofort Gefallen an dem Plan gefunden zu haben: Für die Handzeichnung, so teilt der Kunsthändler Theodor Nübling im Ulmischen Intelligenzblatt vom 25. April 1811 mit, sei Schlumberger &#132;von Sr. Majestät dem Könige von Württemberg mit einem huldreichen Schreiben und einer goldenen Tabatiere allergnädigst beschenkt&#147; worden. Dieser Hinweis findet sich in einer &#132;Subscriptions-Anzeige&#147; (Anm. : siehe Foto), worin Nübling für den Schlumberger-Plan warb, der vervielfältigt und in den Handel gebracht werden sollte. Johannes Schlumbergers Handzeichnung, die noch ein paar Wochen in Nüblings Kunsthandlung. Philadelphia: Kimber & Richardson, 1812. First edition, second issue with signature H reset. 10, -367pp. 208 x 125 mm. 18th century tree sheep, rebacked, corners repaired, endpapers renewed. Uniformly browned as often, dampstaining on first and last leaves, but a good copy otherise. Ownership signature of J. B. Vallee, dated Sept. 4, 1829, on front flyleaf. 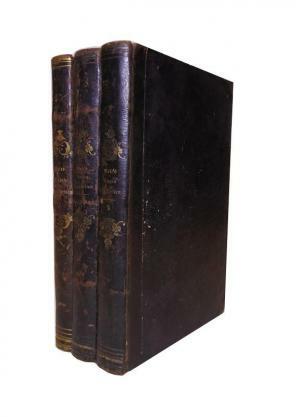 The first psychiatric treatise produced by an American native, representing the first attempt made in the United States to place the study of mental illness on a scientific foundation. Rush attributed all disease, including mental disease, to tension in the vascular system, hence in his treatment of mental disease he focused on physiological therapies such as bloodletting, purging, and salivation, as well as the traditional practices of restraint and intimidation. 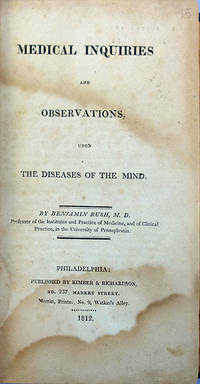 Despite Rush's somatic orientation, his treatise contains several astute psychological insights, including the influence of buried memories, the importance of psychology in general medical training, the holistic unity of body and mind, and the recognition that emotions and behavior, as well as intellect, can suffer derangement. Rush's treatise was used as a standard textbook for decades, and remained the only American work of its kind for seventy years after its publication. In the second issue of the first edition, signature H has been reset with extra lines on each page to allow for the expansion of section VIII of chapter 2. In the second issue, this section begins on p. 62 and ends on p. 63, while in the first issue the section begins and ends on p. 63. Austin 1670. Deutsch, ch. 5. D.S.B. GM 4924. Howells, pp. 433-438. Hunter & Macalpine, pp. 662-670. Norman 1867. Massena, NY: , 1812-1829. Massena, NY, 1812-1829. Very good antiquarian condition. Small 4to. 12 pp. Stitched. Primary source material for the study of animals as property in rural America at the turn of the 19th-century. This small but fascinating manuscript is of a type that is rarely encountered. It describes the distinctive markings of animals belonging to 47 different owners, all residing in an upstate New York village located on the Canadian border. The MS entries are dated from April 7, 1812 to June 13, 1829. The compiler of the MS was the Town Clerk, J.B. Andrews, Jr. The 1810 New York State Census records just 144 families in Massena; that the present MS record owners' marks for one third of the town is extraordinary. Some of the MS entries include: "Ebenezar Hitchcock's Mark is a Swallow fork on each ear. Recorded April 7th, 1812." "Jacob Chase's Mark is a Crop off the Right Ear and a Slit in the Same Ear. Recorded April 7th, 1812." "Rodwick Messenger's Mark a Slope on the upper side of the left Ear and the same on the under side of the right Ear. Recorded April 4th, 1818." On the final leaf is a certified attestation that a "deep red heifer calf without any white about it" came into the enclosure of one James Abellwood on 20 Dec. 1828. Evidently the calf had no owner's markings about it either, thereby attesting to the importance of such a document as this. Charles Dickens (1812 - 1870) hatte eine harte Jugend hinter sich, als er zu schreiben begann und bald zum gefeiertsten Autor seiner Zeit wurde. In fieberhaftem Tempo schrieb er seine sozialkritischen, immer unterhaltsamen Romane, die weltweit gelesen werden. Cadiz. 1812. Imprenta Real, Imprenta Tormentaria. Encuadernación pasta con hierros dorados. 15X10. 8h+120Pág+134Pág. Discurso preliminar leido en las Cortes al presentar la Comisión de Constitución el proyecto de ella y Constitución Política de la Monarquía Española promulgada en Cádiz a 18 de marzo de 1812, La Pepa o La Constitución de Cádiz. La Obra que presentamos era de Juan del Valle (foto, Balle), diputado por Cataluña. Fue elegido Secretario de las Cortes por setenta y seis votos, y Vicepresidente por sesenta y siete, frente a los treina y tres de Martinez de Tejada y los ocho de Gonzalez Colombres. En el debate sobre la Memoria de la gestión de los Ministros, de forma contundente afirmó, que tenia que decir verdades amargas que demostrarían hasta la evidencia que en los negocios públicos no habia un plan fijo y sistemático, añadiendo, a continuación, que la falta de orden y de sistema en los ramos de la administración pública traía consigo la ruina de la Patria. Ejemplar de Museo. Ref 7.4 Biblioteca A.
London: Ordered by The House of Commons to be printed, 10 July , 1812. Folio (320 x 197 mm). Recent blue cloth, title gilt to the spine. Ex-Birmingham Law Society library, their ink stamp to title and a few other leaves, light browning, marginal worm damage to pp.1-16, tracks now professionally filled. First edition of this uncommon and important paper, providing the only published documentation relating to Macquarie's earliest years. After Bligh was deposed in the Rum Rebellion of 1808, questions were asked about the real value of transportation to New South Wales, and in 1811 a Parliamentary Select Committee was called to inquire into the system established in 1787 and to recommend future policy. This resulting report includes a complete transcript of the evidence given by many of the notable witnesses, these include former Governor John Hunter, 12 pages, Bligh,19 pages, and his antagonist and deposer Major George Johnston, 3 pages, "Scottish Martyr" Maurice Margarot, Matthew Flinders, First Fleet chaplain Richard Johnson, and other key colonial officials. Extracts from Macquarie's early dispatches are also included. 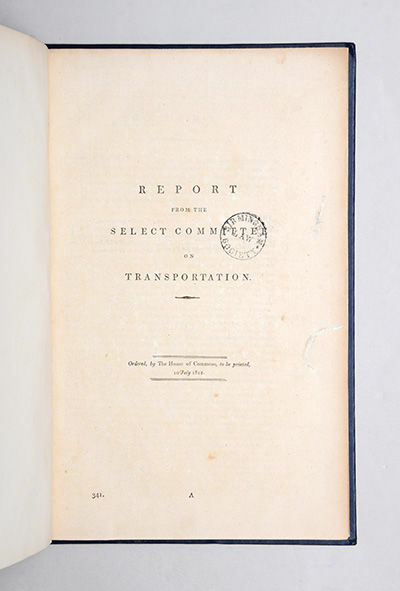 The Report from the Select Committee on Transportation is the first major document from the Macquarie era, and as such is a paper of great significance in the early history of Australia. The committee's conclusions endorsed the then existing system of transportation and "the liberal views of the present Governor", and effectively formed the foundation for Macquarie's programme of civil and administrative improvement. - Tübingen, Cotta 1812. 8°. 4 Bl., 408 S. Halblederbd. d. Zt. mit 2 Rückenschildern und dekorativer Rückenvergoldung. Erste selbständig erschienene Sammelausgabe der Gedichte, nach Hagen die Titelauflage von Bd. 1 von Goethe's Werken in 13 Bänden (1806-1810). - Goedeke IV/3, 46.3. - Hagen 367. - Kippenberg I, 394. - Stellenweise etwas stockfleckig u. gering gebräunt. - Gutes Exemplar. THE LIFE OF THE REV. JOHN HOUGH. 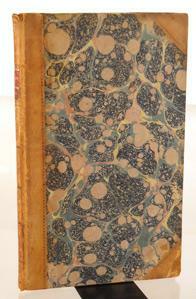 BOUND WITH MEMOIRS OF THE LIFE OF THE RIGHT HONOURABLE SIR JOHN EARDLEY WILMOT. LONDON. JAMES GILLET. 1812 AND 1802. FIRST EDITIONS. TWO BOOKS BOUND IN ONE. 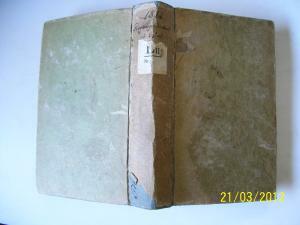 QUARTO, FULL LEATHER, REBOUND AT SOME STAGE USING PART OF THE ORIGINAL SPINE. THE LEATHER IS WORN IN PARTS BUT THE BINDING FIRM AND SOLID. JOHN HOUGH (1651-1743) WAS SUCCESSIVELY BISHOP OF OXFORD, LICHFIELD AND COVENTRY, AND WORCESTER. CONTAINS MANY OF HIS LETTERS AND BIOGRAPHICAL NOTICES OF SEVERAL PERSONS WITH WHOM HE WAS CONNECTED. FRONTISPIECE OF HOUGH, PREFACE (xvi), LIFE (387 pp). 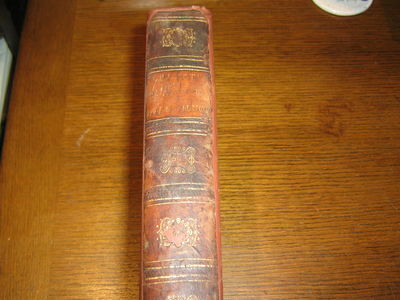 ALSO BOUND IN IS THE LIFE OF SIR JOHN EARDLEY WILMOT, BY JOHN WILMOT, 1802, PRINTED BU LUKE HANSARD AND SOLD BY T CADELL. SIR JOHN WAS LORD CHIEF JUSTICE 1766 - 1771. FRONTISPIECE OF SIR JOHN, TITLE, ADVERTISEMENT, 77pp, FULL ENGRAVED PLATE OF SIR JOHN, 3pp BLANKS. THE BOOK CARRIES AN INSCRIPTION 'MARIA MASON WILMOT FROM HER AFFECTIONATE FATHER, 24TH DEC. 1811', PRESUMABLY FROM JOHN WILMOT TO HIS DAUGHTER. ALSO THE TITLE PAGE OF THE LIFE OF SIR JOHN WILMOT IS SIGNED 'JOHN WILMOT'. (THE AUTHOR OF THIS WORK NOT BEING PRINTED ON THE TITLE PAGE). Paris, Libraire Saintin et Libraire Mame, 1812 105 x 144 mm, 148/192/159/188, Pappbände der Zeit in gleicher Ausführung, jeweils mit Rückenschildchen mit kleiner Illustration, Seiten nicht beschnitten, , Rücken und zum Teil, auch die Deckel, sind stark ausgeblichen. Bindungen fest. Die Seiten sind in schöner frischer Erhaltung, durchgehend fleckefrei. Die Drucke durchgehend mit kräftiger Farbe. ... representant tous les quadrupedes ou les animaux les plus curieux des quatre parties du monde, classes par genres, avec la description de leur caractere, de leures moeurs, des pays quils habitent, etc. suivie dAnecdotes curieuses qui les caracterisent. - Band 1(41 Tafeln) - Band 2(26) - Band 3(22) - Band 4(1+11 fehlen, 2-10 und 12-18 vorhanden). - Band 4 mit: Table alphabetique des noms des animaux contenus dans cet ouvrage. Lablache, Luigi, italienischer Opernsänger (1794-1858). Eigenh. Brief mit U. O. O., Jeudi soir, o. J. 1812. 1 S. 8vo. An eine namentlich nicht genannte Baronesse: "J'ai l'honneur de vous prévenir que Madame Eugenie Garcia ne peut pas se rendre chez vous samedi devant chanter le soir. A l'instant même je viens de recevoir une lettre de M. Duprez qui refuse pour la même raison et que je vous envoie ci jointe [...]". - Lablache debütierte 1812 am Theater San Carlino als Buffo napoletano. Später erweiterte er seinen Wirkungskreis, indem er auf verschiedenen Bühnen Italiens in ernsten und komischen Rollen auftrat. In den nächsten Jahrzehnten wirkte er abwechselnd an den italienischen Opern von London, Paris und Sankt Petersburg. Handschrift. 31 Bll. Beschrifteter Papiereinband. Schön lesebare Handschrift, wohl nicht von Sonleithner persönlich (? ), der diese Tragikkomödie aus dem 16. Jahrhundert, erstmals ins Deutsche übersetzte. 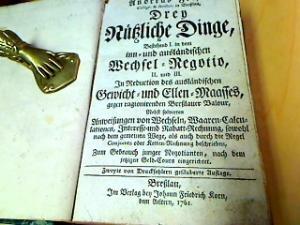 Sonleithner regte 1812 die Gründung der Wiener Gesellschaft der Musikfreunde an, 1819 gehörte er zu den Initiatoren des Wiener Konservatoriums, übersetzte aus verschiedenen Sprachen und schrieb den Text zur Urfassung des Fidelio. In Spanisch und Deutsch. - Randläsuren, Lagen lose, insgesamt frisches Exemplar. Photographische Ansichten der Gotthardbahn. Mappe mit 17 Photographien (Albuminabzüge)..
Mappe: 57 x 46 cm Kartontaf. : 44 x 55 cm. Photographien : 28 x 22 cm, OLwd goldgeprägt m. losen Blättern, Min gebrauchspurig, tadell. Bilder: Panorama von Lugano Lugano Bellinzona Dazio-Schlucht Installationsanlage in Airolo Piantorino Viaduct Tunnel Eingang Göschenen (Vor der Vollendung) Bohrgestell mit Bohrmaschine Tunnel Eingang in Airolo (Vor der Vollendung) Mythenstein Tunnel Transportgerüst über die Reuss bei Meitischlingen Gesamtbild von der Wasener Schleife Sisikon Bahngebiet zwischen Grünbach und Axenberg Amsteg mit Kerstellenbach Viaduct Kerstellenbachbrücke (Im Bau) Häggrigerbach-Gallerie mit der oberen Linie.- Adolphe Braun (1812-1877) französischer Textildesigner und Fotograf, dessen Hauptinteresse ab den frühen 1860er Jahren in der Herstellung von topografischen Ansichten von Europa lag. Später wandte er sich auch der Reproduktion von Kunstwerken wie Gemälden, Zeichnungen, Lithografien, Radierungen und Skulpturen zu. Mit der Wiedergabe berühmter Gemälde erlangte er weltweite Bekanntheit. 1869 wurde er eingeladen, die Eröffnung des Suezkanals in Ägypten zu fotografieren. Ein weiterer Schwerpunkt bildete die Landschaftsfotografie mit großformatigen Panorama-Ansichten. Während des Deutsch-Französischen Krieges photographierte er zahlreiche Zerstörungen, besonders an Brücken. Später dokumentierte er den Bau der Gotthardbahn und des Gotthard-Scheiteltunnels, die beide erst fünf Jahre nach seinem Tod fertiggestellt und in Betrieb genommen wurdenVgl. Kurt Zurfluh, Gotthard als die Bahn gebaut wurde, Zürich 1982: "In dieser Zeit der technischen Neuerungen und der politischen Umwälzungen, aus denen ein geeintes Italien und ein mächtiges Deutschland hervorgingen, begann der Elsässer Adolphe Braun, einer der bedeutendsten damaligen Bildchronisten, mit seinerKamera die wohl grösste Baulandschaft ((Bauzeit 1872-1881) Europas auf Glasplatten zu bannen. Die StreckeImmensee-Biasca war seit 1878 eine einzige Baustelle. Tausende von Arbeitern aller Nationen wühlten Ameisen gleich, die Erde auf, versetzten Hügel, durchbohrten Berge, überspannten Täler, bannten Gewässer und Lawinenzüge und legten eine bis anhin ungebundene Landschaft in eiserne Ketten, Schienen genannt." (S. 12).